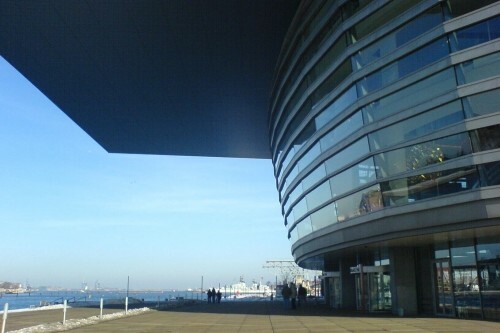 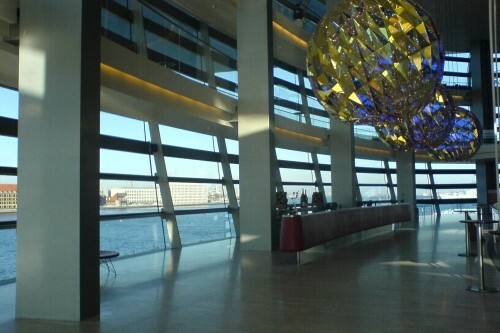 The new opera house Copenhagen is a gift of a Danish Shipowner to the city Copenhagen. 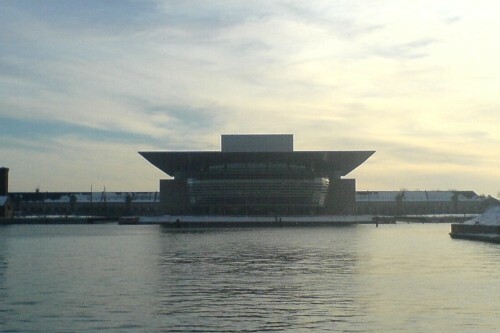 The opera lies opposite of the royal palace and is on an artificial island. 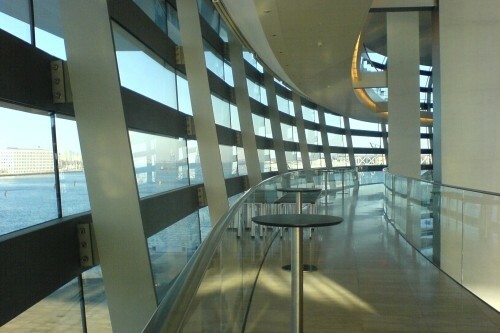 The double curved entrance hall front is formed with lying stainless steel beams and glazing.